Flower Crown Hen Party bookings with Powder and Pin reached an all time high in 2018 and we were not only delighted with the success of them but also the absolutely amazing time we had at each and every one! We met some wonderful ladies (and a few brides-men!) and because of this we are SO excited that 2019 has even more bookings for them than ever before! One of the parties that really stood out for us in 2018 was Rachael’s - full of gorgeous, friendly and fun ladies, Rachael’s hen party was a delight and not only did she wear the flower crown she made that day but Rachael also wore it on her wedding day! 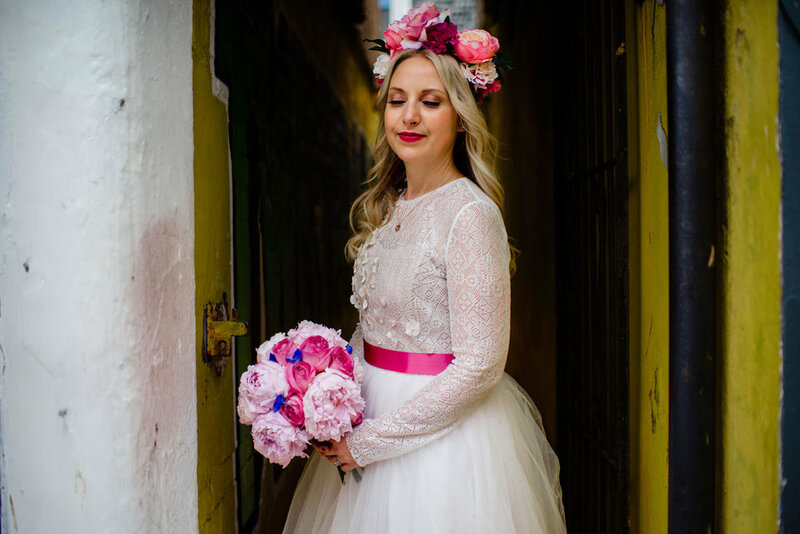 It was a real pleasure to be sent these amazing photos by Jacqui Mcsweeney of the beautiful bride wearing the very same crown she made at the party on her wedding day! 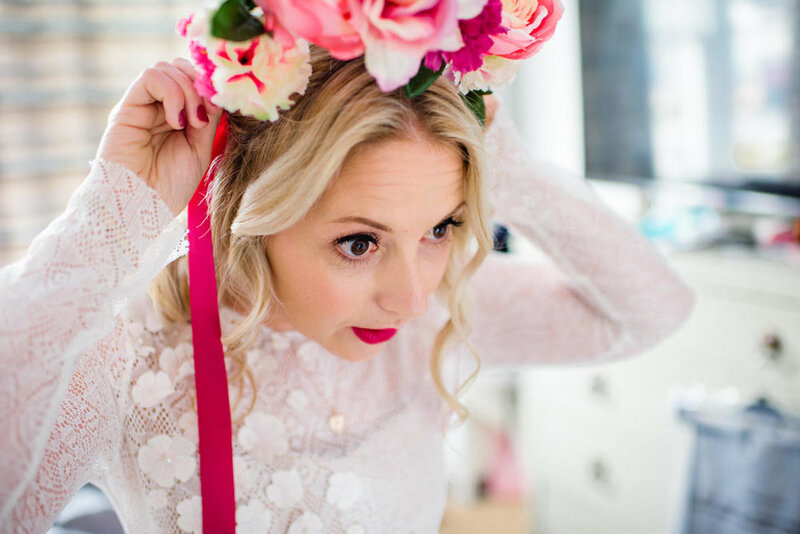 Creating these wonderful headpieces is such a lovely thing to do at a hen party for members of all ages so we love the fact even Mums, Aunties and Nans get involved and enjoy this activity. We also love it when the girls go out in the evening and wear them out on the town that same night for drinks and celebrations! If you would like to get in touch regarding a hen party you’re organising in 2019 or 2020 we’d love to hear from you and if you’re already booked in for your flower crown party we can’t wait to meet you!